Recently, the Halogen team attended the launch of the 2016 Gallup Student Poll Report. As in 2014 and 2015, Gallup has surveyed 10,000 Australian primary and secondary school students about their hope for the future, their wellbeing and level of engagement in school. What the results showed (and this is no surprise to any educator out there) was that student engagement in school declines steadily from Years 5-12. But interestingly, this decline can be significantly moderated when schools focus on students’ strengths, rather than deficiencies. In so doing, a sense of hope and well-being is fostered in students and their overall engagement in school and community life improves markedly. Further, the Gallup survey data shows a strong correlation between high levels of hope, and overall engagement with school. For the purposes of its student poll, Gallup defines ‘hope’ as ‘having ideas and energy for the future’. And as an extension of this, students who were confident in their ideas about a future career, who could problem-solve effectively, had goals which were aligned to their identified strengths and who felt that they had something to offer or give to others, were five times more likely to be engaged in school. 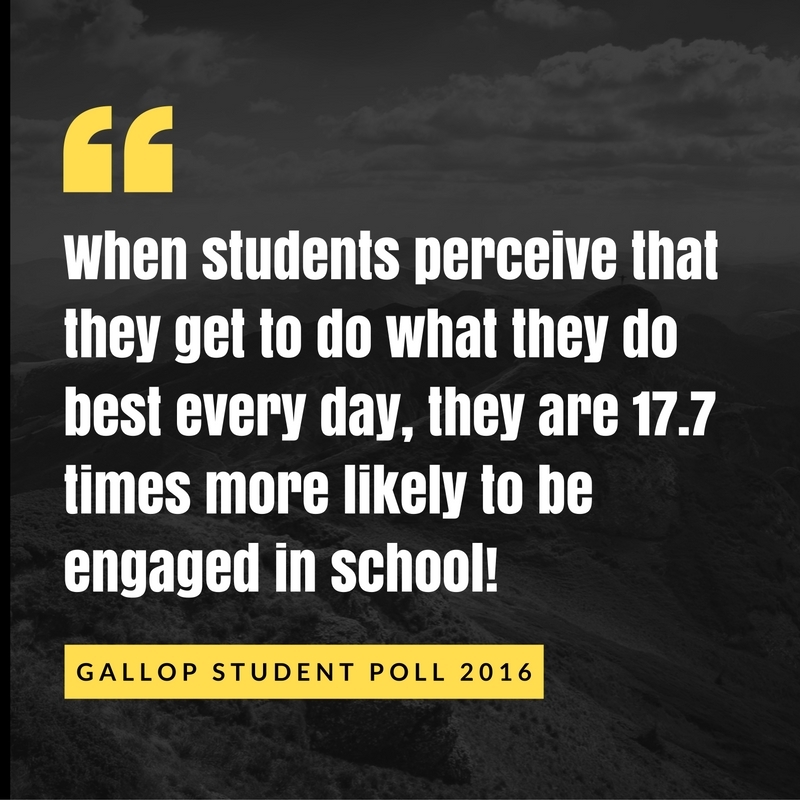 One particularly interesting statistic shows that when students perceive that they get to do what they do best every day, they are 17.7 times more likely to be engaged in school! Incredible. The Australia wide results of the 2016 Gallup Student Poll can be downloaded here, and they are well worth a read. For adolescents, breaking away from 'safe' group affiliations, and asserting themselves as self-aware agents of change or influence can often be a bridge too far. However, if we can create an inviting community or 'tribe' of like-minded young people, who share a drive to offer themselves in leadership service, then that difficult choice can be made a little easier. In our world where hope for a bright future takes a bit of a beating at times and we regularly see leaders falling short of our expectations, Halogen’s vision remains firm. We aim to provide an inspiring space and the right conditions, fostering a community of young leaders who will burn long and bright on behalf of those they lead. In 2016, this community has evolved, from the long running National Young Leaders Day Event – into the Halogen IMAGINATION – an exciting, inspired, collaborative and innovative student leadership community. As the founding citizens of The IMAGINATION, Halogen Young Leaders can come together to brainstorm and create their dreams for a better, more just and sustainable future. By working with their strengths, and providing adequate space and time for students to nurture their senses of Hope, Well-Being and Engagement, we, as educators can ensure that the next generation is well-equipped to create and safeguard a positive, inclusive future society. Hope...the future depends on it! Great piece!